Retail operations have two factors that work against their IT departments: a continuous flow of new data and sales with thin profits. So how do retail businesses stay nimble? Protecting and managing information in retail organizations can be challenging, especially for large regional or national chains with many locations and limited IT resources at the store level. Frequently, stores maintain sensitive or confidential information - such as customer credit card numbers, employee records, and inventory data - on local servers and PCs, where it is vulnerable to theft, inadvertent disclosure, and localized server failure. 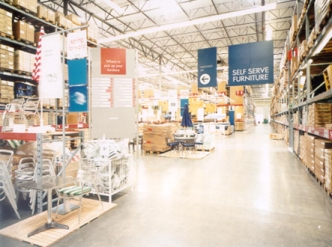 As a result, stores are ill-equipped to recover quickly from any type of disaster. Retailers can gain a competitive edge with improved control of where and how data is stored. A key requirement is the ability to quickly migrate older data to lower-cost storage and keeping only the most relevant data on the fastest servers. Another requirement is the ability to leverage data copy capability to provide localized disaster recovery. This can be accomplished by moving all data to local DR system while relegating older data to lower tier storage. This achieves two goals simultaneously: older data required to be saved by law is kept on lower cost storage and hot data is kept both up to date, and readily available for fast recovery from a disaster event. Without a store-level strategy for disaster recovery and data protection in place, a problem can lead to lost sales, corporate and legal liability, theft of inventory, and lost opportunities for cost savings. Compliance with industry standards, such as PCI-DSS, requires that sensitive payment card data is protected from exposure. When moving older payment data to lower tier storage, full traceability must be available. As data protection is paramount, an auditable trail of pre and post move counts and locations for every document is necessary. In retail, daily sales results can quickly fill production server disks. After primary analysis has been performed, the data should be moved to less expensive, second tier storage where it is still accessible but not using expensive primary storage real estate. Simple desktop shortcuts enable users to access their information from each level of the storage hierarchy.